If you’re already thinking about how you will heat your home this winter but you’re worrying about the cost and the space of a new heating unit, consider the Carrier Performance Series Compact Heat Pump, one of the smallest pumps on the market. It’s so small in fact, that you can install it as little as six inches from your house. 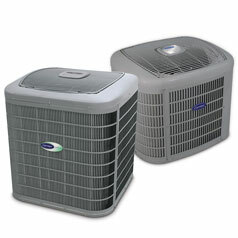 And with an impressive up to 15.5 SEER, it is great for keeping you and your family hot and cool as the weather changes. 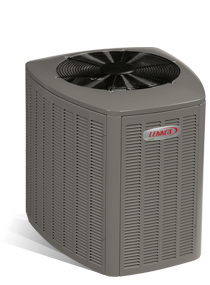 The unit is ENERGY STAR compliant, which means you don’t need to worry about energy efficiency and you save money in the long run. 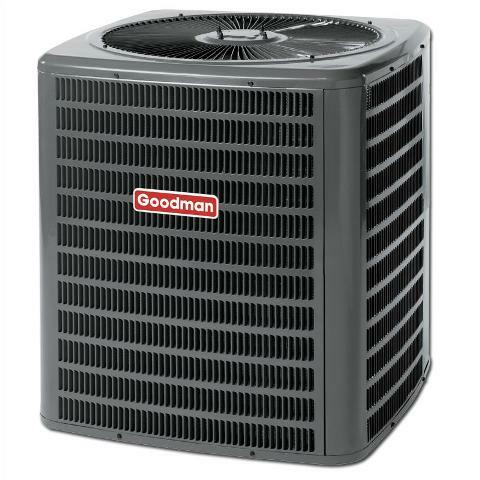 Because of its horizontal heat pumps and the scroll compressor on the air conditioner, you are assured of both comfort and a reliable heat pump that will last and last. And it will be really quiet thanks to the compressor. The unit is protected from anything outside thanks to its WeatherArmor shield and paint. This keeps your unit going for years, and keeps you comfortable. The unit’s compact size gives you the freedom to install it wherever you see fit from the roof to a balcony or even underneath an outlying deck. You can even stack units on top of each other for double the performance. The unit uses a Puron refrigerant system which is better for the environment and will keep the unit operating optimally in the long term. 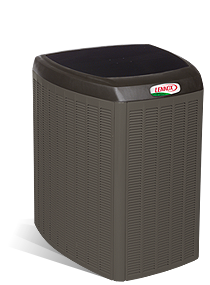 The fan coil (indoor section) and evaporator coil when matched correctly provide the ultimate in efficiency and heat and cool remarkably well. The unit’s air cleaner pumps out the impurities in the air ensuring you get to breathe on the air that is pure, while the humidifier puts moisture back into dry air. With the zoning option, you can set a different temperature for up to eight different parts of your house, ensuring everyone in the family gets the temperature they want. The Edge thermostat allows you to control the temperature and keep it the way you want it to be. 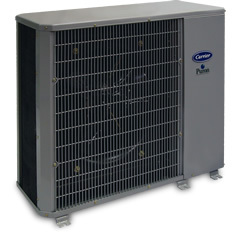 With an up to 15.5 SEER rating and an HSPF of up to 9, this unit is all about your comfort and optimal operation. And with its ENERGY STAR compliance, it also considers your budget and the environment in conjunction with your family’s comfort. Worried about the sound? 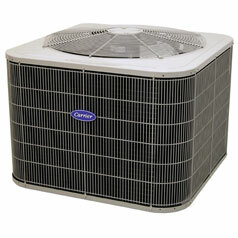 This unit has a decibel rating of as low as 68dB, so that you get the temperature you want in total peace and quiet. The controls, supported by Edge and Comfort thermostats and diagnostic intelligence give you the comfort of knowing the temperature is at the setting you have chosen, and you can change it as you please. Zoning also allows you to get the temperature to your liking in your room, while in other rooms the temperature suits whoever is there. Worried about the environment? Well, with a Puron refrigerant taking care of your unit, you ensure you do your bit for the planet while enjoying the great benefits and temperature of this heat pump. Let the air purifier and humidifier keep the clean air in and pollutants out while it ensures the air stays moist and fresh. This unit is built to last and with construction galvanized steel and baked on powder coat paint, you get a tough and sturdy little unit that is built to last the test of time. And its weather proof shield makes it impervious to hail, rain and any mishaps that may occur. The manufacturers of this unit are so confident in its operation that they offer a ten year limited parts warranty to the original owner upon registration. 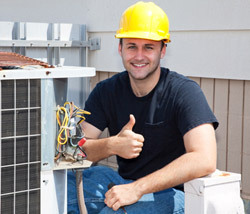 You can also ask the dealer about service warranties for the long term servicing of the unit. No matter what your needs are, hot or cold, you can be sure of a heat pump you can trust when you buy the Carrier Performance Series Compact Heat Pump. At a smaller size and with all the benefits of the larger units, you also get a space saver that will work well through many seasons to come. 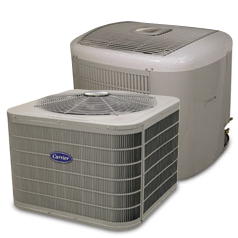 If you want to keep your family cool in the heat of the summer, or warm your home as the winter chill sets in, get yourself a unit you can rely on to keep the temperature you want. And if you’re not sure which one you should buy, think about all the great benefits of the Carrier Performance Series Compact Heat Pump.